There are generally discounts available to senior citizens and small kids for independent swim. 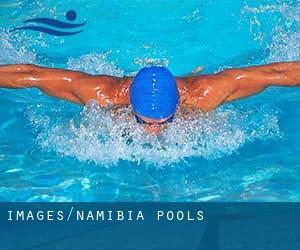 Find out by contacting your nearest pool among these Namibia Pools. Are you on holiday and want to maintain fit and healthy? 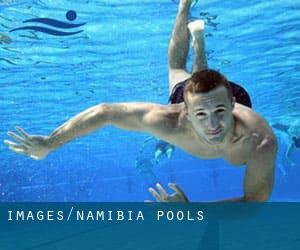 Swimia.com offers you the very easy and quickest technique to acquire Aquagym in Namibia near your current location. Swimia.com has one of the most up-to-date database on the net about nearly any Namibia Swimming Pool. Classified by countries, regions and cities, it's easy to find the nearest pool at the locations you visit. For Namibia, you can actually have a look at the pools we have gathered for you. We possibly don't know all of the Pools in Namibia. Are you missing any? Contact us!. Regular users of the following Namibia Pools told us one of the most crucial thing about swimming is always to control your breathing. Sometimes this is not feasible due to the fact we raise the neck to breathe and also the body isn't aligned. To avoid this, our head should be aligned with our spine all of the time. Going to a Namibia Swimming Pool is increasing specifically within the elderly population sectors of Namibia, who have suffered some kind of muscle or bone damage. There are various reasons why it's best to choose a heated swimming pool in Namibia. One of the most crucial one relies on the importance of keeping the body temperature stable. If the water is too cold, your body will try to warm it up and you will lose strength to swim effectively. There are a number of alternative treatments to chlorination, with superb advantages that guarantee far better water quality in the pool. One possibility may be the mineralizer, which purifies water naturally and significantly decreases the chemical substances utilised and maintenance time. Try Chlorine Free pools in Namibia. Enjoy the best indoor pools in Namibia and don't worry about the weather. These facilities are open all seasons and you can enjoy a swim at the same temperature every day of the year. It's difficult to visit Namibia with out dropping by Rundu (with 58.172 residents). Presently Swimia is showing you all the Swimming Pool in Rundu and also the closest pools located in its vicinity. Without a shadow of a doubt, swimming in Swakopmund is the most beneficial way to unwind following work. Take a couple of minutes to browse Swimia's catalog to find a Pool in Swakopmund. Let us let you know a secret to switch off when you're in Windhoek: just choose a Swimming Pool in Windhoek and plunge into the water! There's no a lot more effective approach. Whereas Katima Mulilo is one of the six most populous cities in Namibia with nearly 25.027 residents, you shouldn't miss that one if you're going to Namibia. Holding an estimated population of 33.618, Oshakati is one of the most important cities in Namibia. Check all the Swimming Pool in Oshakati and its surrounding area. Swimming is a terrific idea to help keep your body active during your visit to Walvis Bay (Namibia), or even in case you are a local. Swimia helps you to discover your closest Pool in Walvis Bay. Maerua Park , Centaurus Road , Windhoek (Postal Code: 9000). Swimmers like you reported 25 meters, 6 lanes, Salt Water, Non-Chlorine Sanitized, Indoors. Unfortunately we do not have the email address of this Pool, but we can give you the phone number. Daniel Tjongarero Avenue & Tobias Hainyeko , Swakopmund . Among all the activities offered by the centre, in case you are enthusiastic about swimming you will appreciate 54 meters, Indoors. Just in case you would like to make contact with this Swimming Pool before dropping by, we only know the phone number.